October 23, 2018 by Laurie 14 Comments This post may contain affiliate links, which means if you click on a link and purchase something, I may earn a small commission (at no additional cost to you.) See my disclosure policy HERE. If you’ve been waiting for a deal on the Ninja 4-in-1 (I love mine! ), don’t miss this! Amazon just dropped the price on the Ninja 6-Quart 4-in-1 Cooking System to under $127, which is a great deal. I purchased one after PPP reader Carmen recommended it, and it’s one of my favorite slow cookers ever! It slow cooks, bakes likes an oven, sautes like a stovetop, and even steams rice. Seriously, I love this thing and even more while the price is at such a good price! Or you can get this deal at Kohl's! 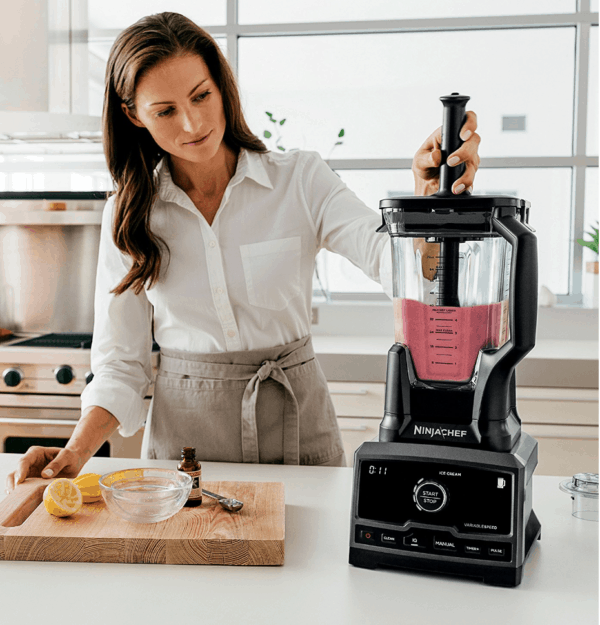 You can also get the Ninja Chef Countertop Blender and Ninja Coffee Bar Auto-iQ Programmable Coffee Maker on sale today! 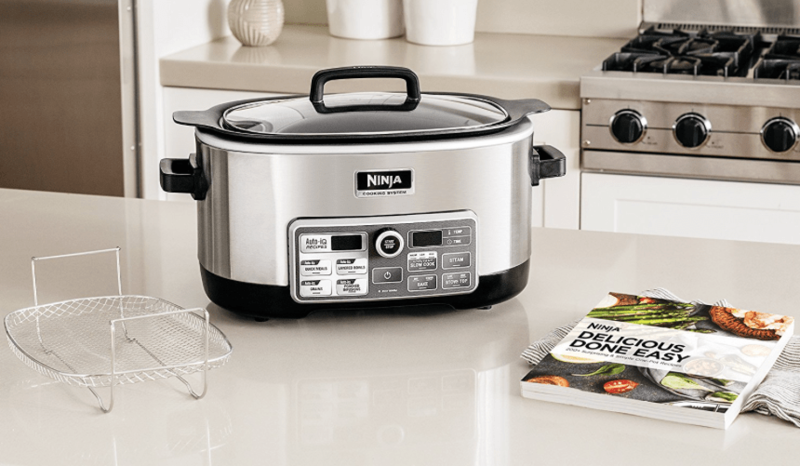 I LOVE my ninja and will never use a regular crock pot or instapot again……I found a better deal at Target last week for the 3 in 1 Ninja for $45. So now, I have two in the house!!!! I purchased the refurbished one free m Groupon. It works great!!! I love using it!!! Thank you Laurie for your October Crockpot Challenge! This is what sold me on the Ninjja 4-in-1! 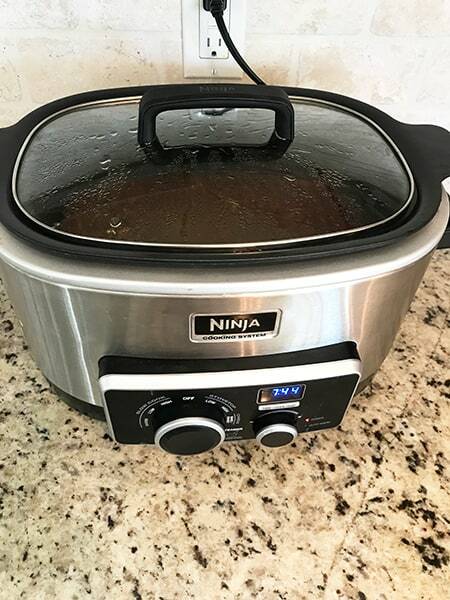 I want to love my ninja but I feel like it cooks too hot on the crockpot setting. I bought it refurbished from Groupon so I’m thinking of buying a new one. I am loving the Crocktober month! Is there a way to make all the videos and recipes available in a file or tab on your website so we can always go back to them? Thank you for everything that you do! And this is a great deal on that Ninja. I paid $90 for mine at BJ’s Wholesale two months ago. What is auto IQ? For the ninja?? I waited too long and they are all gone. Thanks for the deal! Next time I will not wait! Hi Kimberly – so sorry you missed them (those went so fast!) Hopefully it will come back again!